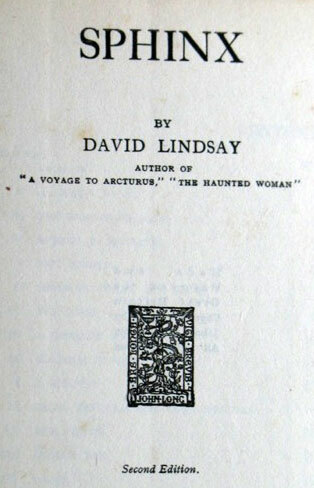 A 1923 edition of Sphinx (which seems to be the most difficult of Lindsay's books to find in an original edition at the moment) has appeared on eBay.co.uk. What's interesting about this book is that, as the seller points out, it is not a first edition (see the auction page for details, and a nice array of photographs), but a second, and evidently released in 1923, or perhaps early 1924, to judge by the novel-writing competition advertised in the front matter. Does this mean Sphinx was popular enough, in its day, to get a second printing? A very interesting item.